PALEO JAY SMOOTHIE CAFE: Paleo Quick Tip of the Day #15- Chill out with Magnesium, and become a Paleo Sunshine Vitamin D Superman! 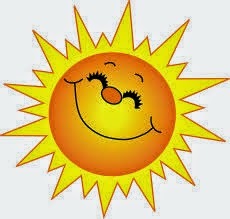 Paleo Quick Tip of the Day #15- Chill out with Magnesium, and become a Paleo Sunshine Vitamin D Superman! PQTD #15 Chill out with Magnesium, and become a Paleo Vitamin D Sunshine Superman! 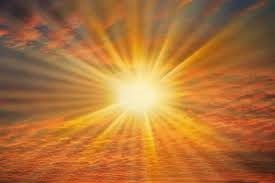 I’m sure you can tell, just by hearing the above, that Vitamin D, the “sunshine Vitamin”, since that is how we naturally synthesize it, is not only necessary for health, it is is critical!! But magnesium, the mineral, is just as critical, and works in synergy with Vitamin D to our benefit. Everyone in the modern world is indoctrinated with the belief that, yes- calcium is needed for bone health! But, if you are eating a paleo type of diet, such as is recommended in Paleo Quick Tip of the Day, with a big green Paleo smoothie or two per day, full of raw leafy whole greens, and also consume a big salad most days, along with Greek yogurt and kefir in your smoothie- you have plenty of calcium! You also have some magnesium, but even you, Paleo person, are probably short of magnesium. The reason is that, nowadays, our soil is so depleted of nutrients through chemical fertilizer bases over-farming, that most of the magnesium that used to be in our soils is...GONE! Now when little PaleoJay was growing up, 60 years ago, our soil was still chock full of the very necessary nutrient... but NOT NOW. Just as we have introduced the perverse fluoride poison into our water, we have eliminated most of our sources of magnesium- and, ironically, fluoride binds with magnesium, and drains it from our bodies!! Talk about a double insult! AND supplement with Vitamin D3 and Magnesium! I am not one who would be big into supplements- but these TWO are critical! Unless you spend at least 15 minutes per day in a bathing suit, at high noon, outside in the sunshine- get some Vitamin D Liquid! A couple of drops per day, in your smoothie or right on your tongue will do it- it’s cheap, tasteless, and very, very effective! I like Liquid Vitamin D3 by Seeking Health, 2000 IU per drop! On Amazon, and very economical indeed! 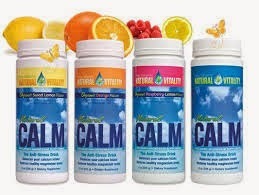 And you also need Magnesium- the product Natural Calm, also on Amazon, is amazing, inexpensive, and easily available on... Amazon! 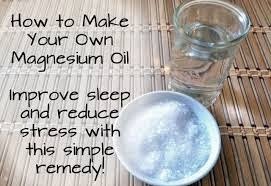 Also from many other vendors... And Magnesium Oil, available from Ancient Minerals, also on Amazon, is another easy way to supplement- just spray the liquid onto your skin, after your shower- it soaks right in, and loads you up with magnesium, easily. But just why do you need these two incredible supplements? Well, if you have high blood pressure, difficulty sleeping, depression, anxiety, rheumatoid arthritis- the list goes on and on- you are probably magnesium and/or Vitamin D deficient. They work together, eliminating, in many cases, migraine headaches, and diabetes... and also, especially in the case of Vitamin D- CANCER. It has recently been released that darker skinned peoples, especially, in the Northern hemisphere are MUCH more, at least 30% more likely to die of ALL types of cancer that fairer skinned individuals- specifically because they produce less Vitamin D from their skin. But lighter skinned people are at nearly as much risk, because we have all become so sun averse- we are all afraid of skin cancer! Ironically, however, Vitamin D, usually derived from the sun itself, is the most protective vitamin, along with magnesium to prevent skin cancer!! YOU WILL BE WAY, WAY HEALTHIER! As usual, it seems, conventional medical advice is ...WRONG!